Puri District or ପୁରୀ ଜିଲ୍ଲା is a coastal district of the Odisha state of India, famous for its historic antiquities, religious sanctuaries, architectural grandeur, sea-scape beauty, and its moderate climate. It holds a wealth of attractions for visitors. It boasts a continuous history from the 3rd century B.C. to the present, and unique monuments such as those of Lord Jagannath at Puri, and the Sun God at Konark. It has the Chilika Lake, the largest brackish water lakes in India, that holds a picturesque sea-scape beauty. It offers an ideal resort for birds who migrate from different parts of the continent. By virtue of its geographical location, the climate of Puri is equable throughout the year. As the Raja of Khurdha revolted the 1804, he was arrested and was placed in confinement in the Fort of Barabati at Cuttack. His territory was confiscated and the Raja was subsequently released. In 1807 he was permitted to live at Balisahi in the town of Puri and functioned as superintendent of the temple of Jagannath. 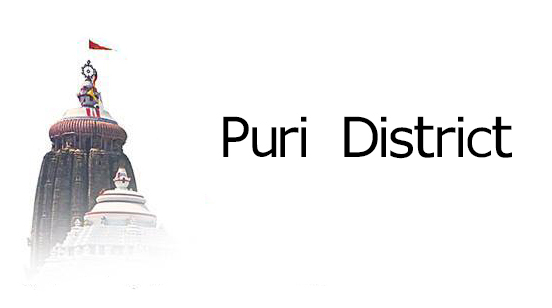 Puri was the capital of the province of Odisha and the headquarters of the collector, till 1816. In 1806 there was a proposal to remove the headquarters to Jajpur, but it didn’t get Government sanction. In August 1814, a part of the collectors establishment was removed to Cuttack, which was again brought back to Puri in December. By 1816 the headquarters was permanently shifted to Cuttack which was Headquarters during Moghal and Marathas. By 1818 the office of the commissioner was established and Robert Ker became the first commissioner. From 1813 to 1819 there was a joint Magistrate at Puri with the jurisdiction over the Thana of Pipli, Gop, Hariharpur and Kiran. By 1819 this office was abolished and the joint magistrate of Khurdha was given the charge of the above thanas. On 11 February 1822, the office of the joint magistrate of Khurdha was abolished and Odisha was again divided into two divisions with the river Baitarani as the dividing line. Willkinson, the collector of Cuttack, was placed in charge of Cuttack and Khurdha and Ricketts with powers of a collector was given the charge of Balasore and Bhadrak. In 1912 the new province of Bihar and Orissa was formed. Subsequently Orissa become a separate province in 1936. After integration with Orissa an 1 January 1948 of the feudatry states of Nayagarh, Daspalla, Khandapara and Ranapur with a total area of 3941 1st km. a separate Sub-Division comprising these ex-states was added to Puri District with headquarters at Nayagarh. The fourth Sub-Division of Bhubaneswar was carried out on 26 January 1959. The old Puri District consisted of four Sub-Division i.e. Puri Sadar, Khurdha, Bhubaneswar and Nayagarh, Puri Sadar Sub-Division consists of four Tahasils i.e. 1) Krushna Prasad 2) Sadar 3) Pipili, 4) Nimapara. Ancient cultures of Puri have the most expressive forms of music and dance. These two highly evolved art forms have manifested themselves in some of the most evocative and celebrated performances from and not only the professional classical exponents but also from the various folk and tribal groups. What also comes to light is the important revelation that the cult of the “Devadasi” or female temple dancers was not only pre-valent to the temples in central and south India, but also existed in Odisha in a highly sophisticated form. The more talented devadasi are selected for training in the secret arts of the temple dance “Odissi” which today has become a highly stylized and elegant dance form. The devadashis were used to dance for lord Jagannath with the songs from Jayadev’s Gita Govinda. After the abolition of devadasi system, this dance becomes the most developed classical dance form of the State. Padmashri Guru Kelucharan Mahapatra is the legend of the particular dance form.